I had a friend who told me about Clinicana. And just everything was great and very professionell. I had 4000 grafs, and they did it in 5 hours, extremly professional everything. And they really took care of me. Clinicana were extremely professional and very helpful from the first stage of receiving a consultation through to booking the procedure. When I arrived in Istanbul I was collected by the Clinicana driver who put me at ease immediately regarding the full process. The Ritz Carlton hotel was booked for me by Clinicana and it was excellent and their staff made you feel at ease regarding your procedure as they are aware of Clinicana and the work they do. On the day of the operation the hotel driver dropped me to the very nice private hospital where Clinicana are situated and the operation was very well controlled and very professional. The aftercare from Clinicana has been excellent and I would highly recommend Clinicana to anyone thinking of having a hair transplant. First class treatment by all of the staff. Just had the FUE done at Clinicana. Very nice and professional people. They help you with all of the steps. The procedure is done in the Acibadem hospital which gave me a very good feeling about the whole entourage. Now wait for the hairs to grow. Very exciting. I had the FUE treatment done. Day 1 is for explanation and the doing the actual treatment. It’s not really painful, or maybe just a bit after. It will about 6-7 hours. Day 2 is for taking of the bandage and explaining how to wash the hair. I am happy with their professional and helpful way of working. I came across clinicana through a friend of my girlfriends who had recently had an FUE hair transplant done and spoke very highly of the place. I contacted the clinicana team and Mira who was very helpful the whole procedure over WhatsApp messenger. Nervously I booked to have my own and set off to Istanbul with my girlfriend a few weeks later. Once we got here we stayed at the nas city hotel a lovely hotel 2 min drive from the hospital. The next day I had my blood test which was all okay and had my procedure 2 hours later after the clinicana provided me with a lovely lunch free of charge. The operation/ procedure lasted a total of 5 hours. During the experience I only felt slight pain on occasions due to the local anaesthetic you are given. After the procedure I felt a little sleepy and only in slight pain but the pain killers you are given help. The next day I was complete pain free. Overall I would highly recommend anyone thinking of having a transplant done here at clinicana as the cost and care throughout was amazing and you won't be disappointed. I had a total of 3400 grafts which lasted 5 hours, I consider it very good value considering the price in England. I approached Clinicana for my hair transplant as it was recommended by my cousin who had gone through a transplant surgery himself. I was not at all disappointed and found the whole process very easy and the medical staff extremely professional, knowledgeable and friendly. Especially Mira in the team was very helpful and made everything very easy. I had 3150 grafts put in and the doctor gave me a complete overview of the whole process as well as the after care tips. I had 3150 grafts put in and the doctor gave me a complete overview of the whole process as well as the after care tips. 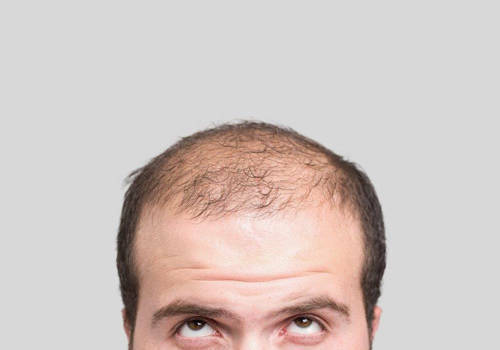 Well, Hair transplantation is a major decision to make. After spending a lot of time to have one for my large balding head in New York, I was recommended by someone in the business instead to go and get it done in Turkey at Clinicana. Clinicana are awesome in the full sense of the word. From the very first day you contact them, they will coordinate the entire process smoothly and guide you through every step. The reason I chose clinicana and Turkey was due to the success rate and their reputation on the internet including their affordable prices. I had FUE surgery including 4000 grafts, the operation ran very smoothly and with minimal discomfort. I would say to a friend that this could change your life! I am excited to see the results in the near future! Excellent experience. Team make it very easy for you to get this done. Very helpful all the way through. Really hard workers!! Aftercare is also very good. Taxis to and fro very convenient and all free. Recommend without hesitation!! Alaa and the two girls who did the procedure were excellent!!! Had 3100 grafts. Operation ok, quite long and a few uncomfortable needles at the start but other than that straight forward. Decided to have a hair transplant at this particular clinic after a friend of mine recommendation, as he had one himself. Straightforward booking and direct contact throughout via chosen method of communication, mine was whatsapp. It’s basically as described on the site including pick up, hotel, procedure etc. Nil complaints and so far so good now can’t wait to see the results. Extremely competitively priced an outstanding and straightforward service. Would certainly recommend to anyone.